The man of your dreams pops the question. You've got the most incredible diamond on your hand and you've set your wedding date. So what do you do next? You head to the store and grab a stack or two of Alabama Weddings Magazine and pass them out to all of your family and friends! Let the planning begin!! Yesterday morning, I headed to our State Capital, Montgomery, AL to meet for coffee with the Editor and Operations Director of Alabama Weddings Magazine. I was so nervous and so darn excited that these two wanted to meet me and learn more about Dragonfly. I've had the honor of being featured on their blog several times (here) and I have always dreamed of being in their publication. I walked into Montgomery's Renaissance Hotel and to the patio and was greeted with a smile and a hug from Michelle and Kerri. I'm a hugger people, so chances are if we meet for the first time, I may skip the hand shake and go in for the big squeeze. Immediately, I knew that this was going to be a day that I would never forget. We chatted over coffee about so many things including our love of photography, networking, the wedding industry and our love for holding an actual print in our hands. I'm sorry, but there is nothing like holding beautiful printed images in your hand. The days of printing are not over people. 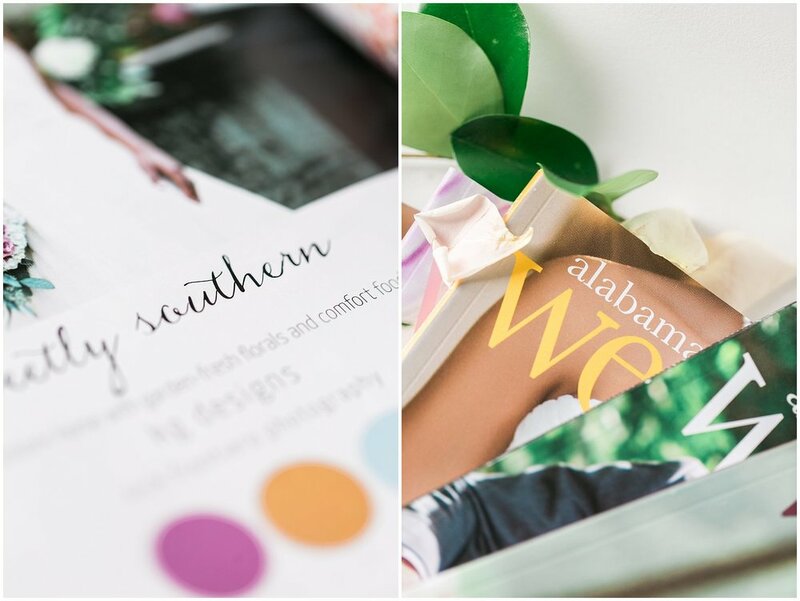 With your tea in hand, sit on your porch and flip through the beautiful pages of Alabama Weddings. Turn off those devices, get comfy and inspired with the gorgeous photography and resources available within AWM. Michelle and Kerri were so amazing. Bless their hearts for hearing me and my bold personality for a few hours. I just cannot contain my excitement when it comes to my passion and love for this industry. Thank you ladies for noticing this small town girl. It truly means the world to me and my team here at Dragonfly. Thank you for delivering me my copy of your 15th Anniversary Issue. We have them all on display here at the studio and cannot wait to share with our clients.